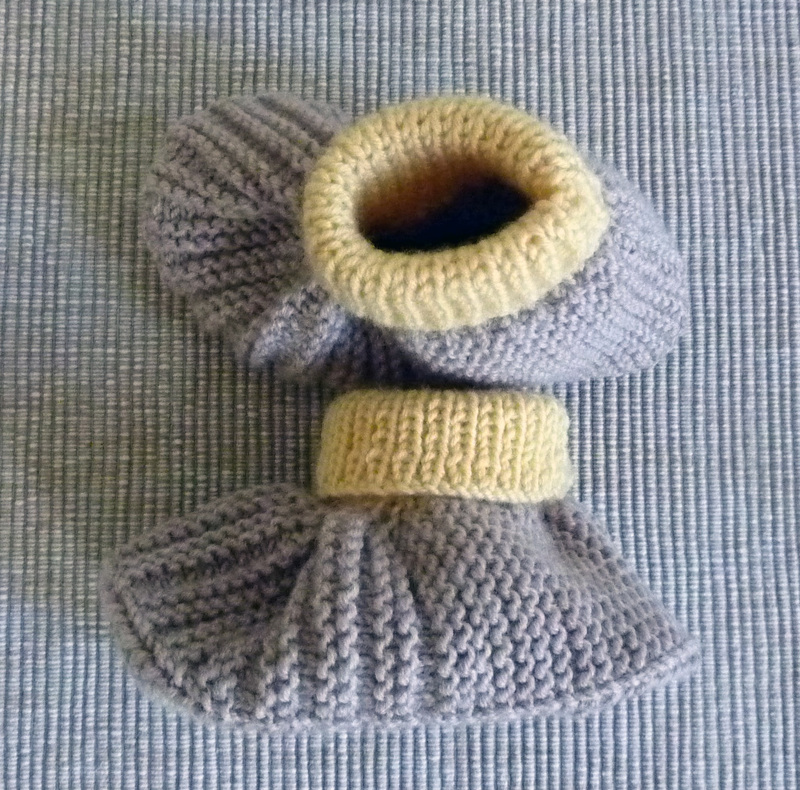 I do hope you’re not getting bored of my booties yet, I’ve got another pair that I knitted back in September 2010. And there are more still to come, don’t worry! This is my bootie pattern that can be found on Ravelry. 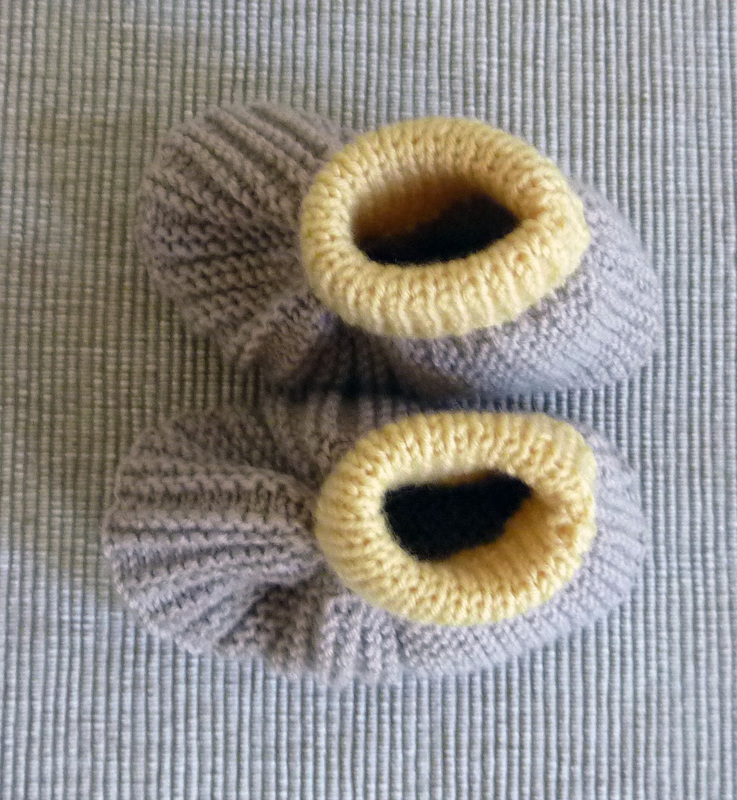 As I’ve already said a few times, I love knitting these booties (it probably has something to do with the fact that I’ve knitted hundreds and hundreds of them). I made this pair for a friend from school, I had spoken to him in the summer about a reunion I was organising and he mentioned that he and his wife were expecting. He told me they were having a boy, hence the colour choice, and I really like the combination. The white cuff finishes the booties off so nicely. I’ve not seen a picture of the baby wearing the booties and not sure if my friend liked them, but I’m sure he did. 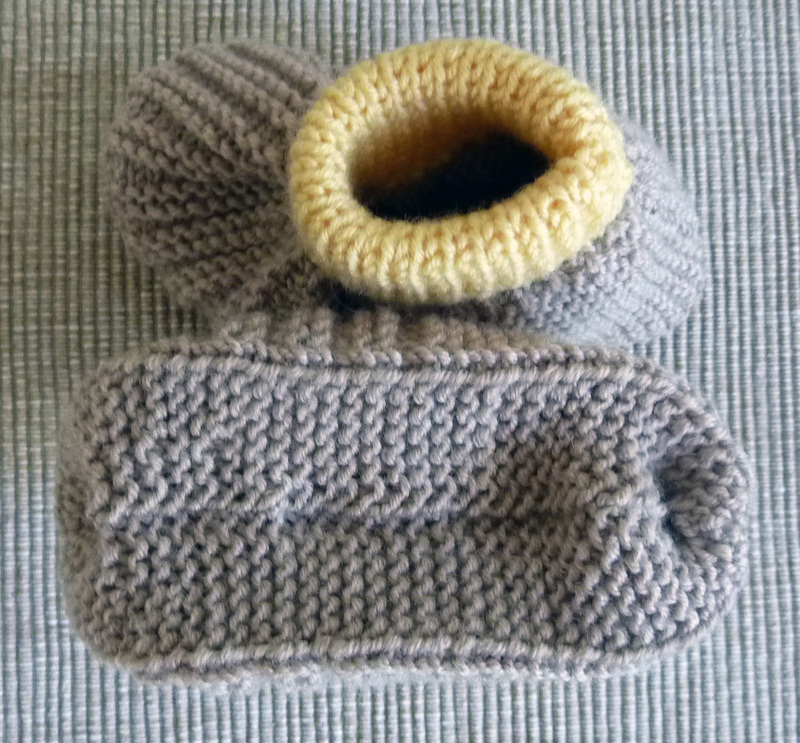 This entry was posted on January 14, 2012 at 10:25 pm and is filed under Baby, Knitting with tags Anna's booties, baby, booties, socks, warm. You can follow any responses to this entry through the RSS 2.0 feed. You can leave a response, or trackback from your own site. the yellow accent is perfect – it looks like butter.